Artem Sytnyk believes his bureau should be authorized to autonomously extend investigations. Director of the National Anti-Corruption Bureau Artem Sytnyk says his agency discontinues undercover operations after the arrest of its agent by the Security Service and Prosecutor-General's Office. Talking to a briefing on Friday, 1 December, Sytnyk said that the undercover operation in the Migration Service was a joint effort of NABU and the US Federal Bureau of Investigation and stressed that the operation breakdown was aimed to intimidate the bureau's workers. The chief of the anti-graft agency believes that the bureau should be given the right to lead secret investigative actions autonomously. Inter alia, Sytnyk said that his bureau knows all safe houses of other law enforcement agencies. On 29 November, law enforcement officers detained a NABU undercover agent on suspicion of an attempt to bribe first deputy head of the State Migration Service Dina Pimakhova. Pimahova at a special briefing gave her own version of the bribe attempt. Prosecutor-General Yuriy Lutsenko accused NAUA of illegal bribery provocation. 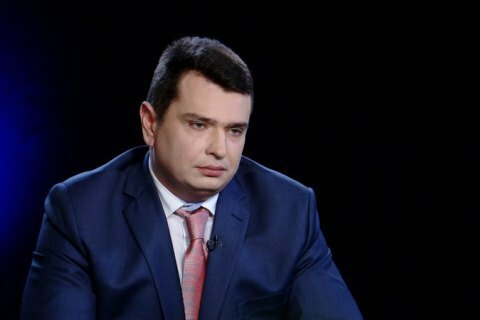 Later PGO said that NABU has a "secret department" whose purpose is "to create conditions for obtaining improper benefit by officials for their unlawful for their discretitation and bringing to criminal responsibility."